1696-1701 Silver, 14.9 grams, 34mm Diameter. on edge, AU50 NGC. Sold for 1,800 USD . 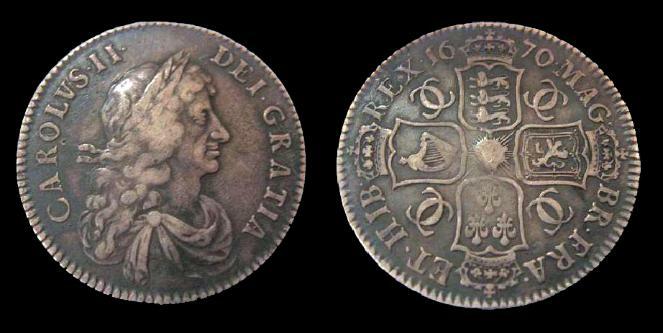 28 March 2012 - Stack's Bowers & Ponterio auction - Charles II Crown 1676 S-3358 fine.